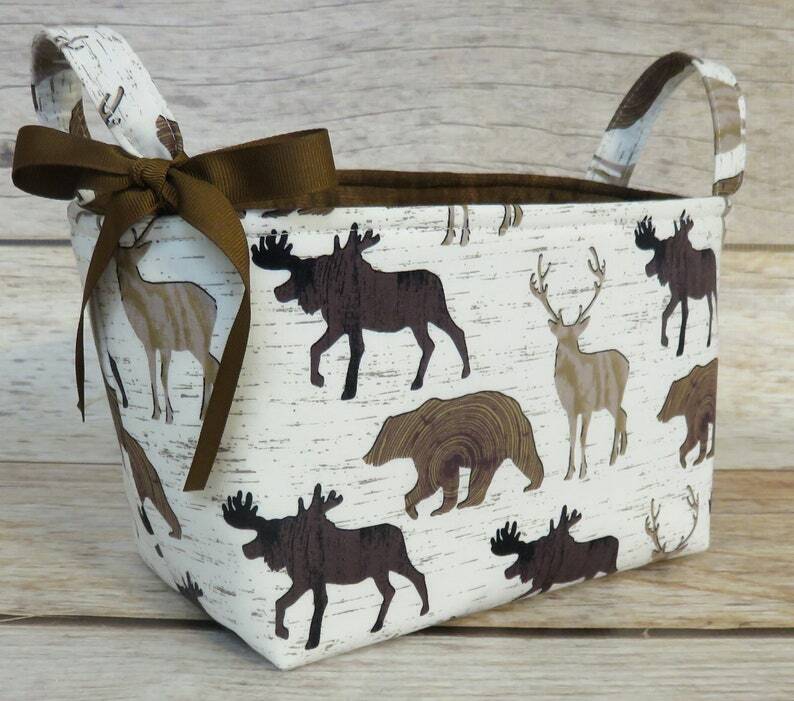 ● Brown Bear Moose Deer Elk Fabric Woodland fabric. ● Chocolate Brown fabric for the lining. Super cute design. Packaged carefully. Arrived a little smaller than I pictured, but it’s super cute and very well made. I wish there was a bigger version! I’d buy it for our dogs’ toys.